I made these felt bookmarks a long long time ago. 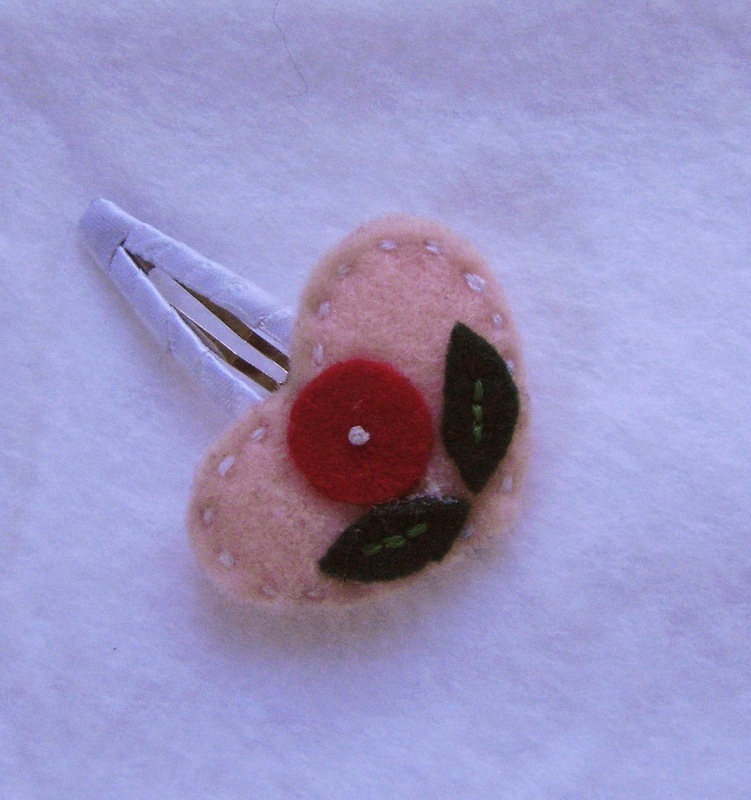 I fell in love with this little heart shaped bookmark and of course I made some for myself. I tried to make them match the books I was reading at that time. I gave two of them away to my friends. Now I only have the pink one. And I don't read as much as I did. My poor bookmark was just sitting there doing nothing. I have a baby. So I figured I could just turn this cute little felt bookmark into a hairpin. I did it. This is how it looks.